Reviewing a new cookbook always starts in my kitchen. I read the author’s introduction, flip through the chapters, read through a selection of the recipes, and then zero in on one or two to try. This macro and micro hands-on approach usually gives me a better feel for what the author is offering and helps me compare the book to others of its kind. 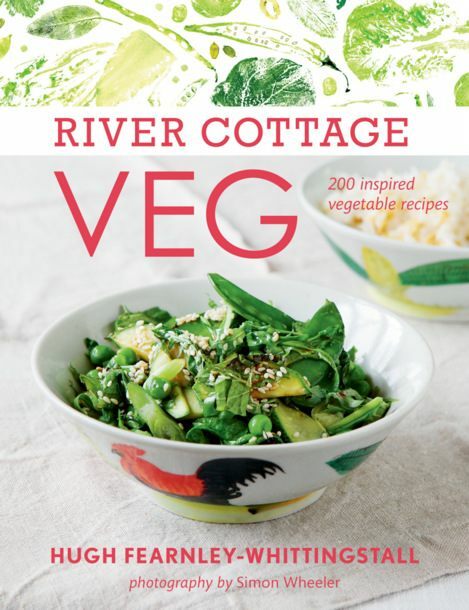 In March I explored River Cottage Veg: 200 Inspired Vegetable Recipes. Written by Hugh Fearley-Whittingstall, an award-winning cookbook author, British TV chef, and farm-to-table food advocate, this newest River Cottage title is suitable for vegetarians. The purpose of this title was to encourage omnivores to eat more vegetables and to make vegetables a mainstay of our diet. Fearley-Whittingstall offers an eclectic and creative range of recipes from appetizers, soups, and salads, to entrees and desserts that provide interesting and pleasant flavor combinations and textures. Most of the ingredients should be readily available in most grocery stores. The recipes and instructions, while a challenge for novice cooks are easily handled by the average home chef. The photos are warm and inviting. I was impressed with the quality of the dishes and the ease of making them. This cookbook was a great match for me as I try to keep most of my meals plant-based. His recipes are so good I tested ten over the course of the month, and then bought the book. Mollie Katzen, the godmother of heartwarming vegetarian cooking and the author of eleven popular cookbooks, has written The Heart of the Plate as a guide for the new generation of plant eaters. Those of us who own dog-eared and food-stained copies of her classics, The Moosewood Cookbook and Enchanted Broccoli Forest, think of her recipes as hearty, homey, heavy on the dairy, and crowd pleasing. They are often our go-to cookbooks when we think vegetarian. Katzen’s new approach reflects the current trends in vegetarian cooking, with a much greater emphasis on vegan dishes. Her recipes are lighter, tap into ingredients, flavors, and textures drawn from the world’s cuisines, and yet appear to be simple to prepare and to customize. Gone are her folksy and charming handwritten recipes with accompanying pencil drawings. Katzen’s new cookbook style is slick, with beautifully illustrated photographs and original watercolors by the author herself. She assures us in her preface that this new collection of recipes includes her “absolutely most loved” recipes of late. While I had fun browsing her new title, I am really looking forward to getting into the kitchen and experimenting with her new approaches and combinations. Check the WRL catalog for The Heart of the Plate. Gran Cocina Latina (Great Latina Kitchen) is just that — big, rich, and fun to explore. 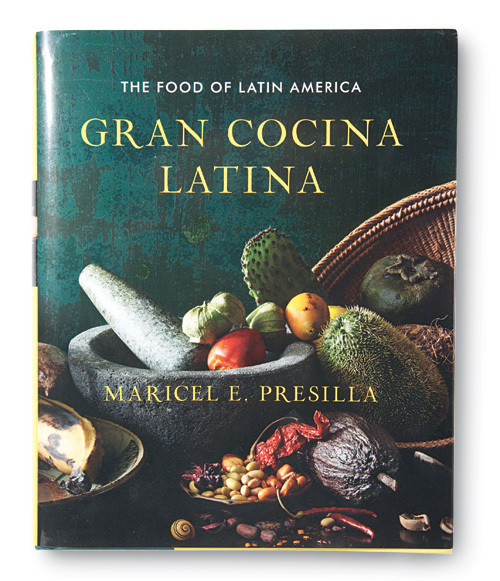 In over 900 pages this new, award-winning cookbook by restaurateur and food historian Maricel Presilla brings together the diverse cooking traditions of Central and South America and the Spanish-speaking countries of the Caribbean. Beautifully laid out, with a balance of recipes, background and equipment notes, and photos, cooks and armchair travelers alike will savor this comprehensive collection of recipes from a geographically and culturally “big” region. Recipes are not arranged by country, but are grouped according to ingredient or type of food. Chapters introduce you to the layers of flavors that make up Latin America cooking. Here you can explore the variety of indigenous ingredients including chilies, squashes, corn, quinoa, beans, and potatoes that dominate the cuisine. You can also learn about the unique types of dishes that come from countries such as Argentina, Peru, Columbia, and Cuba such as empanadas, secos, tamals, ceviche, ollas (soups), moles, and dulce latino (sweets). So get beyond the familiar Tex Mex tacos, refried beans, and salsa and journey through the complex flavors — but not complex cooking — of Latin America. 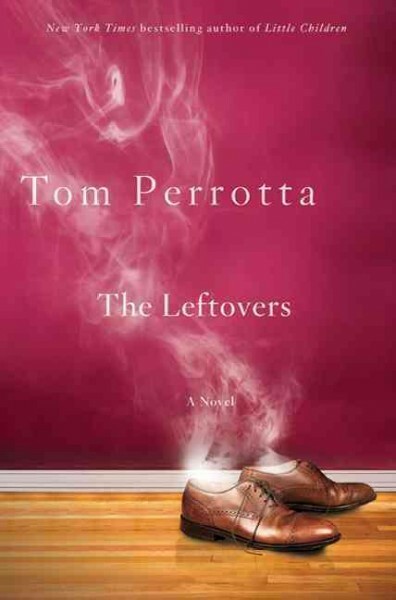 From the author of Little Children comes The Leftovers, a contemporary tale that explores the chilling effect grief has on those left behind in a community in the wake of an unexplainable, rapture-like event. The novel is set in a post-apocalyptic world in a suburban town in the Unites States. Three years have passed since millions of random souls instantly disappeared from the earth in what is called the Sudden Departure. In a puff, millions of random adults and children, believers and non-believers, all vanished without warning and without reason. Left behind are citizens of Mapleton, residents who move through their daily lives burdened by an overwhelming sense of loss after the disappearance of their loved ones, friends, co-workers, and neighbors. The central characters are members of two families, the Garveys and the Dursts. Kevin and Laurie Garvey, their teenage daughter Jill, and college-age son Tom are alive but the family unit is fractured. Kevin, Mapleton’s mayor, bravely moves forward with his public duties while struggling to run a household that no longer exists. Laurie seeks peace and purpose by moving out of the family home to join a religious cult whose members find meaning in wearing white, chain smoking cigarettes, and shunning all human relationships. Tom and Jill seek explanation and love in quirky and often self-destructive ways. Nora Durst, a young mother, wife, and only remaining member of her family, lives with the memory of their sudden disappearance from her dining room table. Nora goes through the motions of daily living haunted by feelings of loss and guilt. These and other characters try to cope using a variety of techniques, including indifference, avoidance, depression, acting out, and alienation. A great book club title, The Leftovers compels you to talk about big questions involving love and loss, grief, moving forward in life, and community. Not all members of my book group were drawn to the characters, but the themes of the books—and the jarring ending—kept us talking. This week’s reviews are from our Outreach Services Division, and we start off with one from Janet. Mention to someone who has been to Ireland that you are planning a first trip and you will hear raves about the natural beauty of the Emerald Isle and the friendliness of its people. Everyone has a favorite spot – Aran Islands, Cliffs of Moher, Connemara, the Dingle Peninsula and the Ring of Kerry – and a favorite pub. All paint a romantic picture of the verdant green landscape, the dramatic ocean views, and the ancient stone walls and ruins. Advice is plentiful – “bring a rain coat and boots,” “pack layers,” “watch out for the sheep as you drive the narrow lanes,” and “spend less time driving and more time in a pub.” When I ask about Irish food I most often get the same response, “don’t expect much other than meat, potatoes, and beer.” Somehow I do expect more and so I checked out the library’s cookbook collection to bone-up on the flavors and delicacies that make up Irish cuisine. 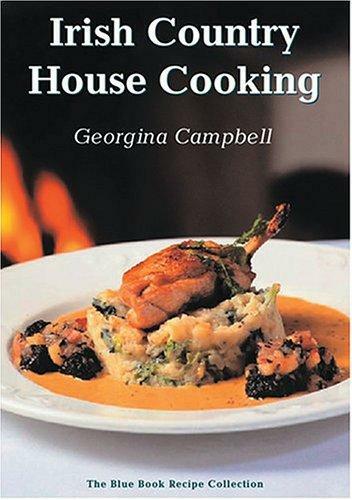 Check out Country Cooking of Ireland, The Irish Pub Cookbook, and Irish Country House Cooking. Together they showcase the very best of contemporary Irish cuisine. All provide gorgeous photos of the island’s rural and rugged landscape, recipes from some of the most celebrated pubs and manor houses in Ireland, and with a range of recipes that home cooks will find easy to follow. There is plenty happening in the kitchens of modern Irish chefs well beyond the traditional lamb stew and colcannon. Although the cuisine may still be a wee bit tough for a vegan, these new cookbooks profile foods that make use of an array of the finest artisan cheeses, fresh and smoked fish and seafood, herbs and hearty grains. 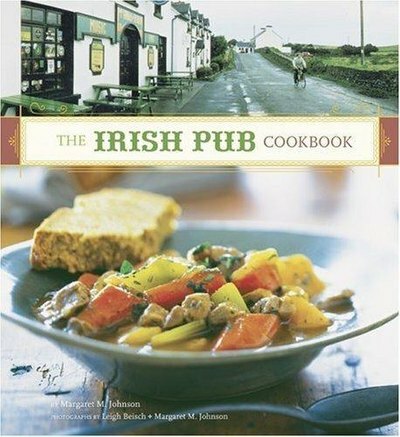 To explore Ireland’s food borrow a cookbook, get cooking, or hop on a plane for Dublin. Janet finishes off the week with some fine poetry. 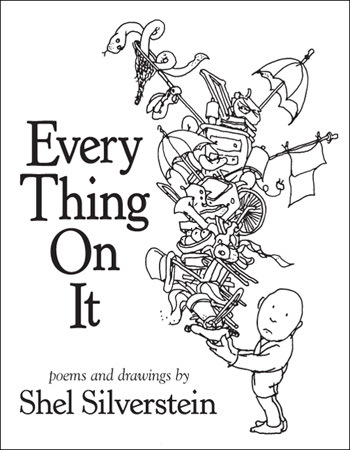 Just published, Every Thing On It, is a magical collection of poems and drawings that my kids, your kids, – and of course each of us who are still a kid at heart- will enjoy. The collection is quintessential Shel Silverstein – poems that are funny, sentimental and often completely off the wall. Silverstein, a poet and artist, well known for Where the Sidewalk Ends, A Light in the Attic, and The Giving Tree, died in 1999. He left behind over 1000 completed, yet never published, poems and drawings that have been assembled by his family and released here for the first time. Shel Silverstein helped me bring a love of poetry to my kids. His straightforward, ridiculous, and endearing style always made for a great read aloud and some of his lines we still remember. He had a knack for knowing how to get a kid’s attention, and sometimes pass a message along without it seeming like a message at all. As in all of his work his pencil drawings bring each poem to life adding to the reading experience. Who else creates wonderfully imaginative and engaging titles such as “Garlic Breath” or Twenty-eight Uses for Spaghetti” that immediately draw you in and demand attention. The last poem appearing in this new collection, entitled “When I Am Gone” reminds us that Silverstein he is still very much with us and here for another generation of readers young and old to discover either as a solitary reader, listening in a classroom, or sitting together as a family. Looking for a special gift for a child this holiday season? Couple this new Silverstein collection with one of his older, favorite titles. You might even offer to read it together as part of the gift. Neither of you will be disappointed. Janet talks about a great book group title today. 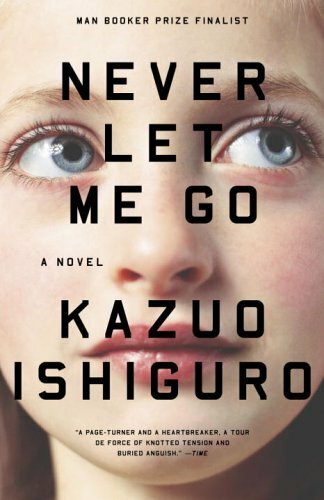 This month my book group was in the mood for contemporary literary fiction and we selected Kazuo Ishiguro’s Never Let Me Go. Ishiguro is known for his elegant prose, mastery of tone and setting, complex writing style, carefully crafted characters, and provocative themes. Recognized as one of Britain’s leading fiction writers, Ishiguro’s title The Remains of the Day, won the prestigious Booker Prize for fiction. One of the first questions we discussed was how should one categorize Never Let Me Go. Not an easy task. Perhaps it belongs with dystopian fiction such as The Handmaid’s Tale by Margaret Atwood. Others readers may place it with psychological suspense and science fiction. It touches on all these elements and it is a chilling tale. This book is a beautifully written, if grim, story. A great book club titles, Never Let Me Go compels you to talk about big questions involving science, society, and morality. It is a cautionary tale that offers your book group a smorgasbord of launch points for discussion. In all honesty most members of my group were not drawn to the characters, but the themes of the book kept us talking way past our usual closing time.